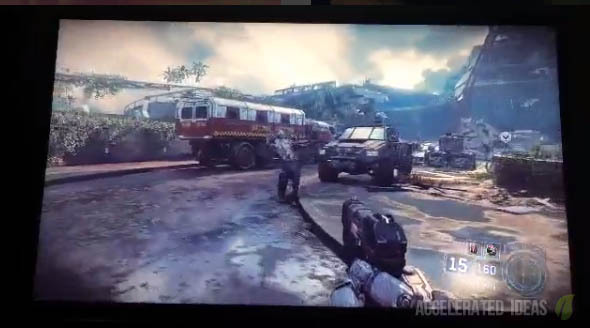 All of the pre-release rumours were true, Black Ops 3 does contain a Zombies Campaign mode and it's called Nightmares. This campaign mode takes zombies to a more linear story mode with individual missions to play through and complete. Before fans jump up and down with excitement - this campaign mode does NOT follow the famous characters from the original zombies game i.e. 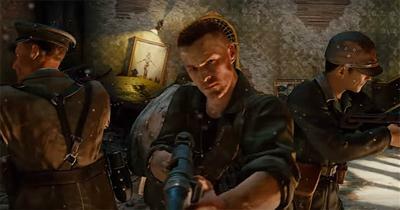 Richtofen, Dempsey etc. It also contains more supernatural themes with tentacle creatures from the Shadows of Evil map. The missions are very classical, resembling more of a Resident Evil style with open space and beautiful areas to explore. This is good, but in reality this campaign looks like a simple spinoff from the core campaign. If you listen carefully, certain names are revealed such as Dr Salim who is one of the main characters from the original campaign. 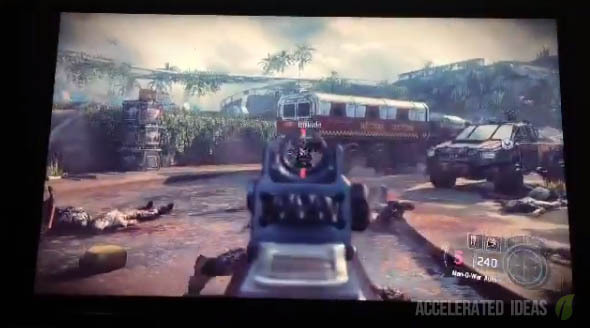 It's too early to judge just yet, but these maps look far too familiar and could ultimately just be a reskin of the main campaign with zombies thrown in. 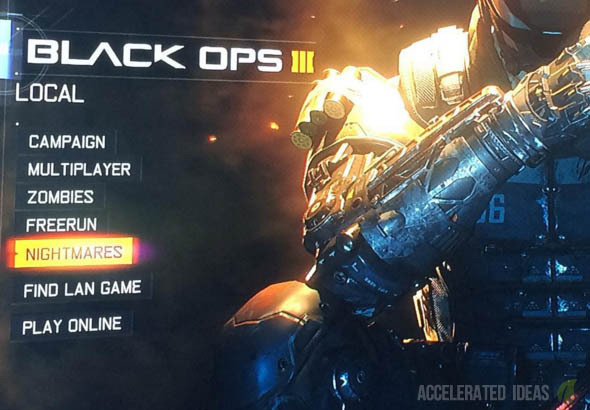 Quite simple really: complete the final Campaign story mission in Black Ops 3 to unlock a new menu option. 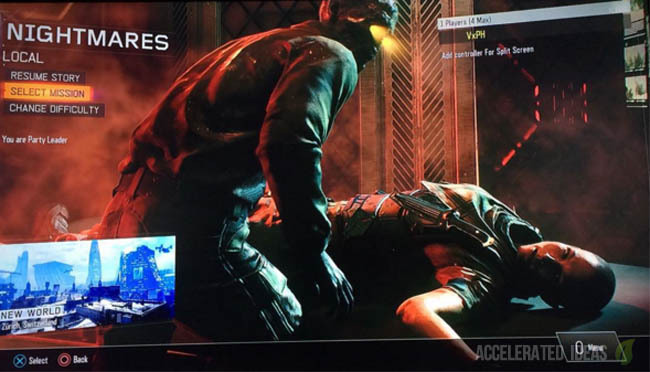 See the image above which shows the Nightmares menu option just below Zombies and Freerun. Once you open up the Nightmares menu you'll see a familiar campaign layout with options for Resume Story, Select Mission and Change Difficulty. You can replay any mission and increase or lower the difficulty at any time. 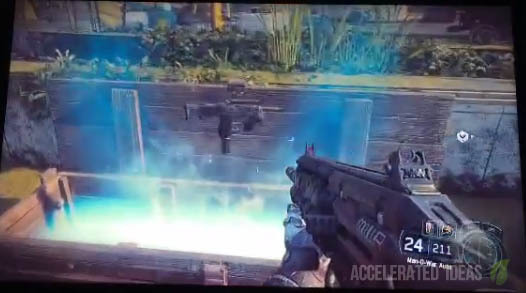 The classic mystery box is included in the Nightmares game mode. First mission, note the open spaces and lush scenery.